LEXINGTON, Ky. (Jan. 12, 2018) — University of Kentucky archaeologist Paolo Visonà, adjunct associate professor in the School of Art and Visual Studies and part-time instructor of ancient art in Lewis Honors College, recently served as a Fulbright Specialist at Croatia’s University of Rijeka and University of Zadar after being awarded a grant from the U.S. Department of State, Bureau of Educational and Cultural Affairs. The grant was administered by the World Learning Organization. Visonà is a Mediterranean archaeologist and numismatist with expertise in the pre-Roman coinages of Punic North Africa and on the coinage of Issa, an ancient Greek city on the island of Vis in today’s Dalmatia, a region made famous by the filming of the “Games of Thrones” HBO series. He was invited by his Croatian colleagues to give a series of lectures and workshops on the monetary circulation in this area of the Adriatic before the Roman conquest. Since the 19th century, an unusual concentration of finds of hundreds of bronze coins of ancient Carthage, Numidia and Ptolemaic Egypt in northern Dalmatia and northwestern Bosnia has puzzled archaeologists and historians. During his stay, Visonà was given unprecedented access to this material. In addition, he had the opportunity to discuss with Croatian students and scholars a new research methodology known as “coins in context,” which entails the study of all the datable evidence associated with the coins found in a stratigraphic excavation. One of the main goals of the Fulbright Specialist Program is to foster the exchange of ideas and to promote a scholarly discourse between members of the American academic community and their foreign hosts that may forge links between individuals and universities and allow them to participate in joint projects. After an application to join the Fulbright Specialist roster has been accepted, a person is eligible for up to two grants within a five-year period. The grants can cover the exchange for a period of two to six weeks. Under the auspices of this program, Visonà’s Croatian hosts took him to several museums and archaeological sites. They also asked him to collaborate in the publication of the pre-imperial coin finds from northern Dalmatia. The possibility of organizing an archaeological project involving UK faculty and students was also discussed. 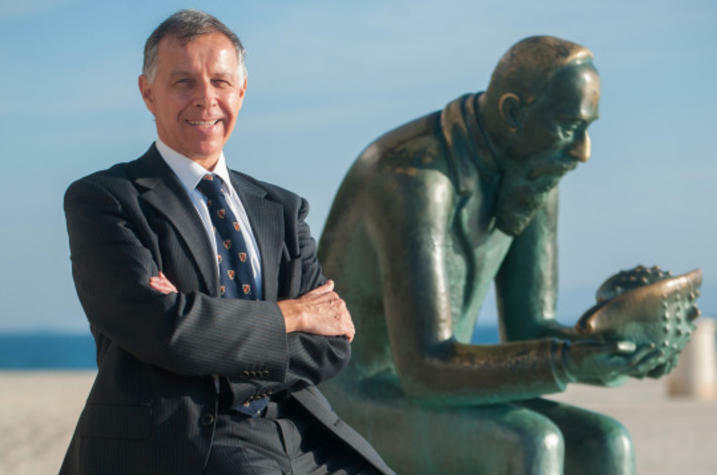 This would entail formalizing contacts between UK and the University of Zadar, Croatia’s oldest university, through a memorandum of understanding. The UK Department of Anthropology has advanced instruments and a special expertise in terrestrial remote sensing techniques, which would be particularly useful at Iron Age hillforts in northern Dalmatia and at the site of Issa on the island of Vis. Last May, Visonà and George M. Crothers, UK associate professor of anthropology and Kentucky’s state archaeologist, were invited to Vis to examine the feasibility of conducting a geophysical survey aimed at locating two of Issa’s temples and the city’s Roman forum. The pair have co-directed three archaeological projects in Italy since 2010. 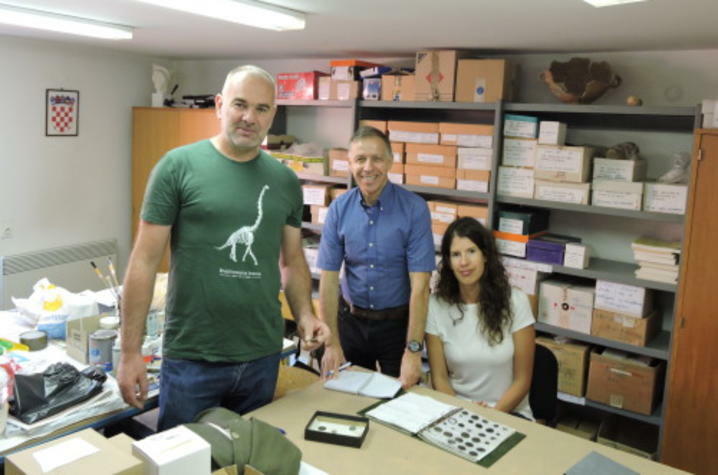 While Visonà was in Dalmatia as a Fulbright Specialist, he was given a tour of the island by the resident archaeologist and he helped to identify the coins found in the 2017 excavations. He also was able to complete his research on the coinage of Issa, since most Issaean coins are kept in Croatian museums. This mint study will be published in the monographic series of the Archaeological Museum at Split.